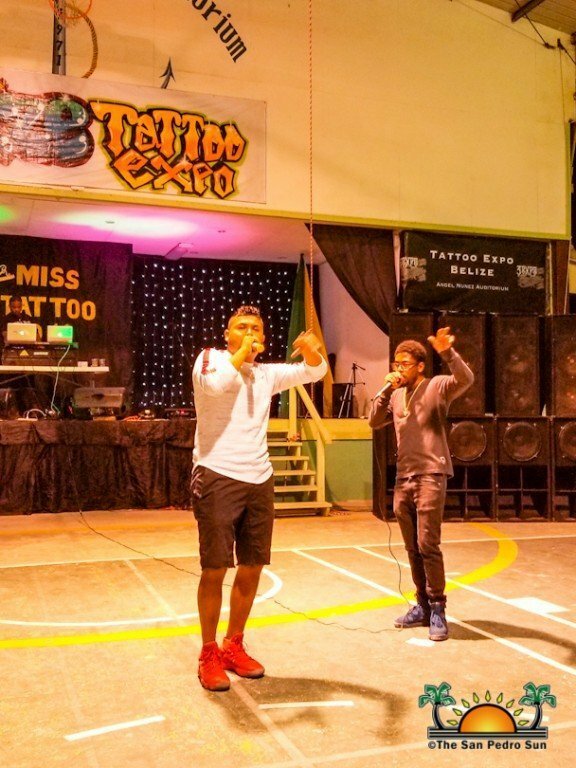 As early as 11AM on Saturday, March 30th, people began filling the auditorium, excited to browse artists’ portfolio, choosing their preferred style and getting inked. 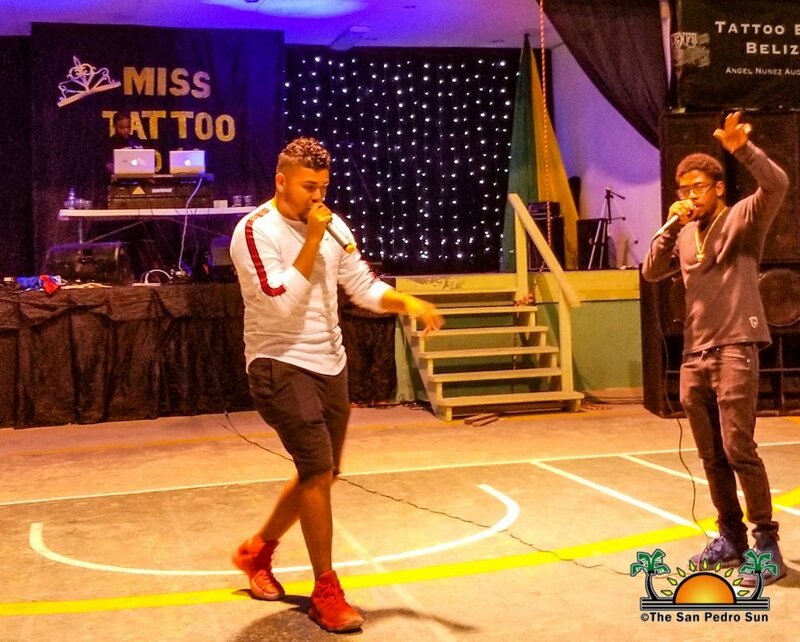 Throughout the day, DJs kept the music going. 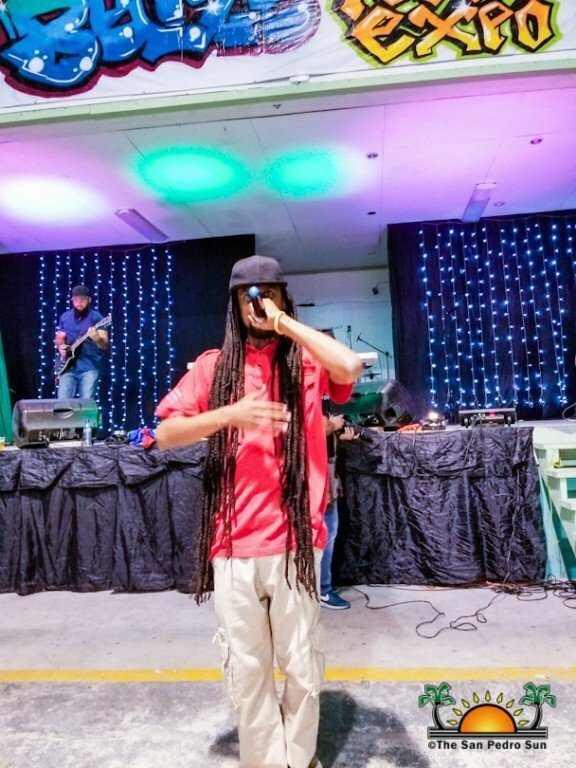 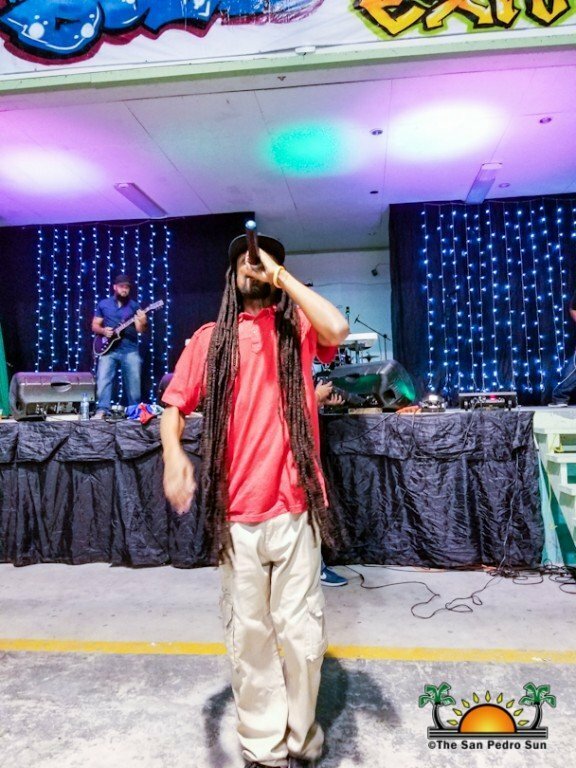 Later in the evening, live performances by artists like Zimple, Flako and Dynamike, Stig Da Artist, Guillermo Rivero and Verge of Umbra had the crowd off their feet and close to the stage. 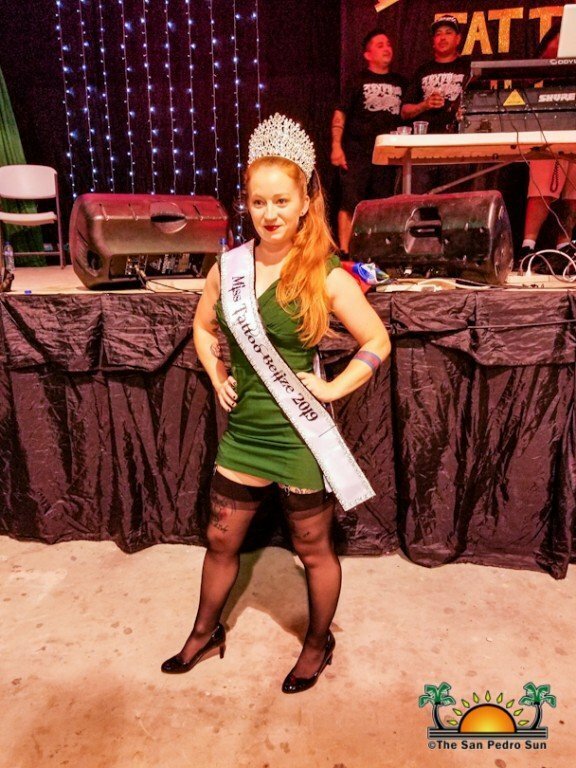 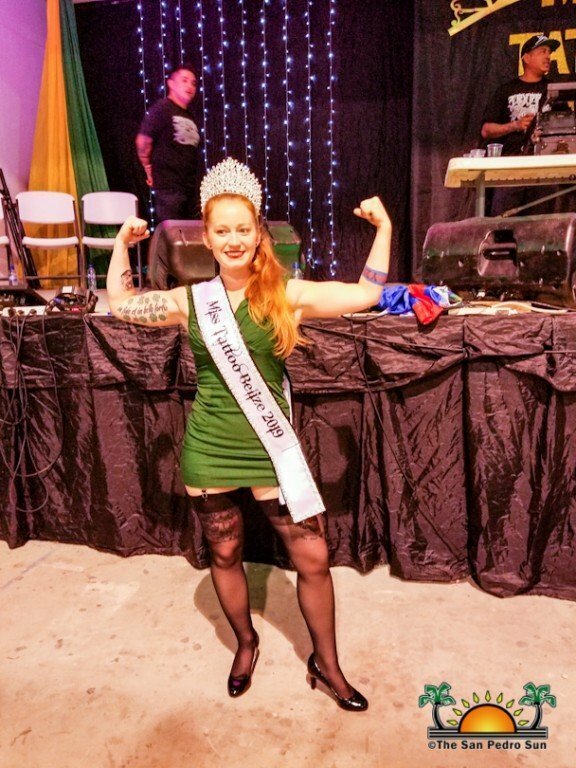 The first-ever Miss Tattoo Belize added another level of fun to the night, with winner Hailey Carroll walking away with her well-deserved crown and sash! 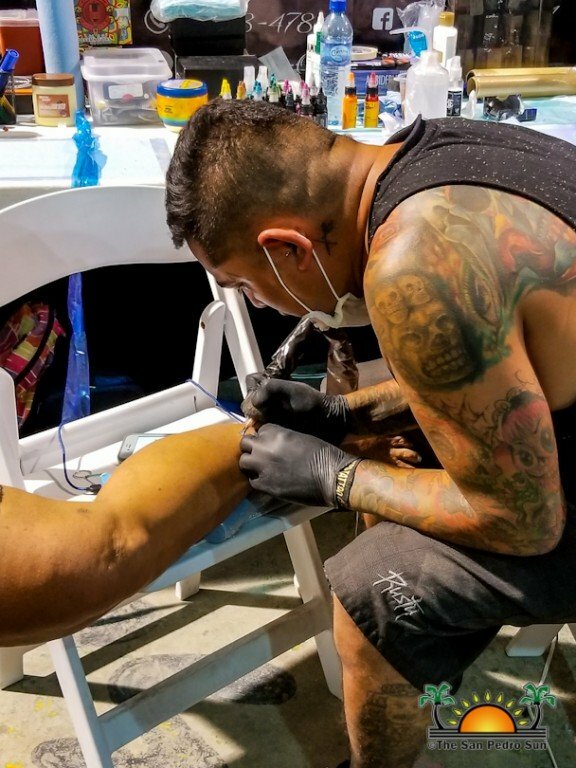 The second day was just as busy, with artists pushing their talents to the limit, working on beautiful pieces that would be judged for a variety of prizes later in the evening. 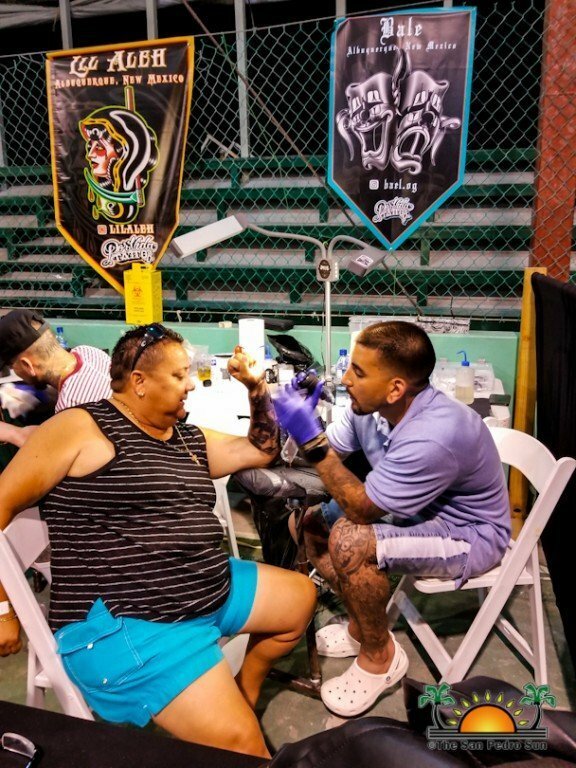 Highlighting the final day’s events was the freak show, featuring Carlos “Skull Head” Lopez. 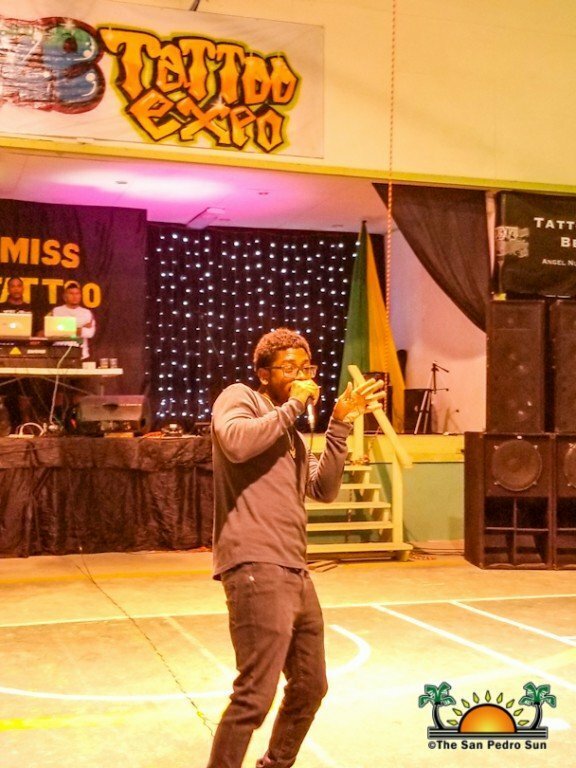 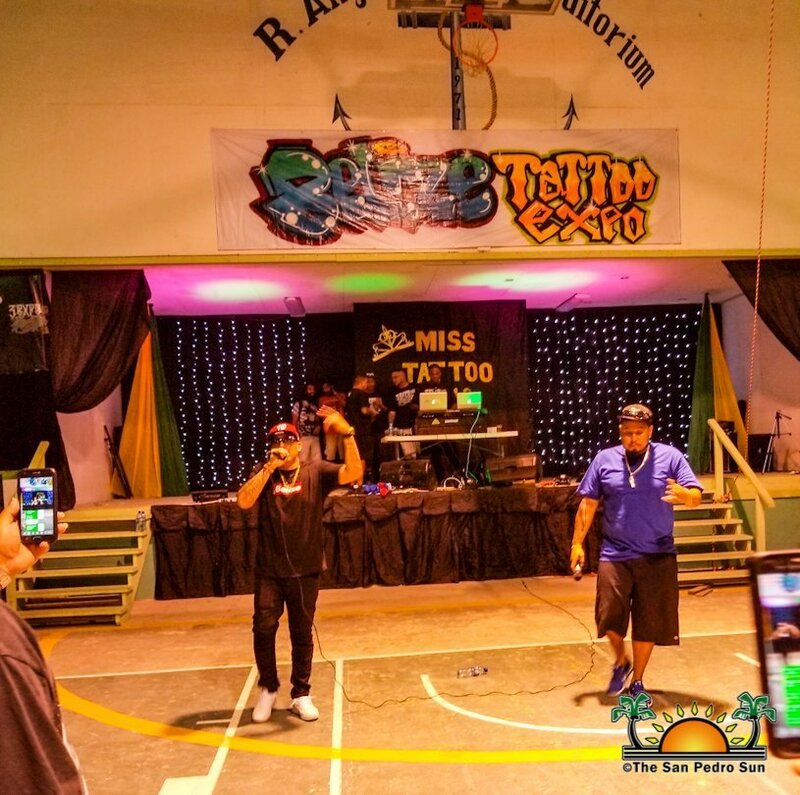 Organized by Belizean Ink Tattoo Shop (Wimpas Sosa), the third Tattoo Festival was certainly a success. 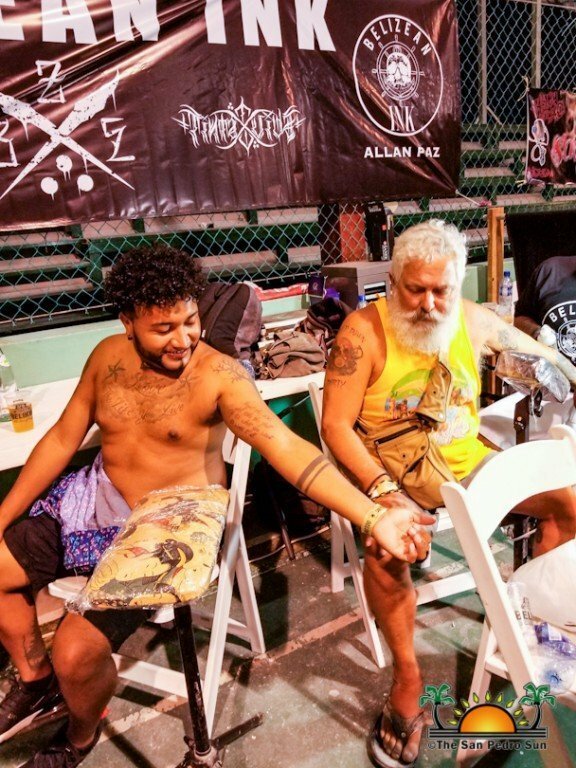 Judging by the many happy people nursing their fresh ink, there should be another successful festival in the works! 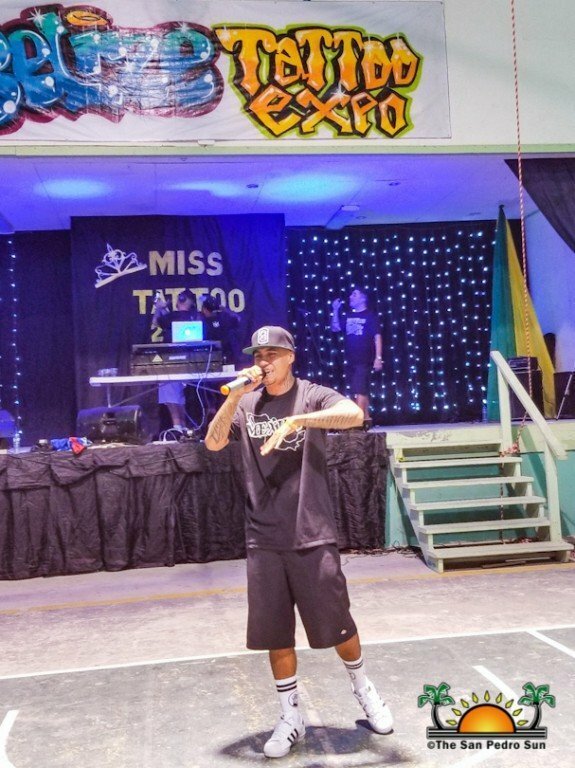 Congratulations to all involved, and see you at the fourth Belize Expo Tattoo Festival!